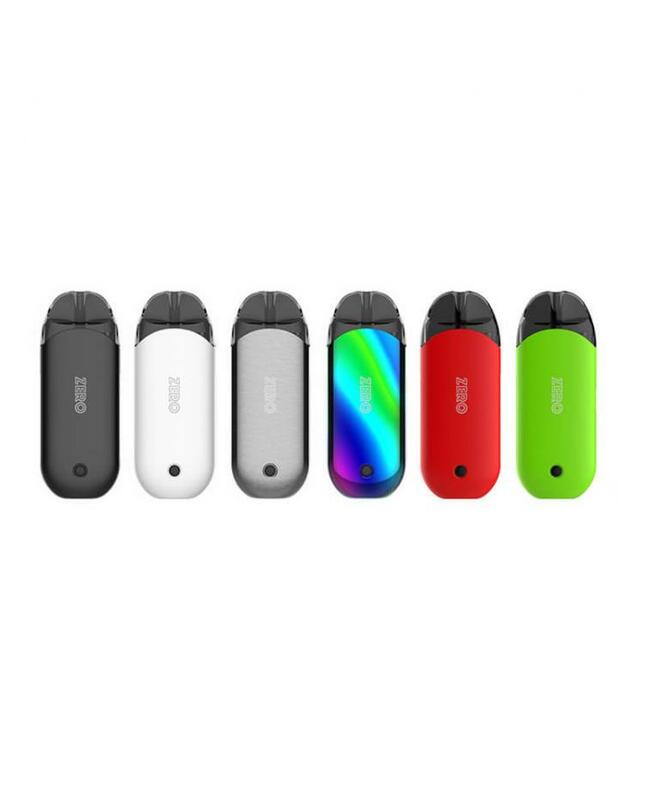 The Vaporesso Renova Zero All-In-One Pod System Kit, which is compact and portable pod vape kit by vaporesso, 9 colors available, made of high-quality zinc alloy and PCTG material, can hold 2ml e juice and built-in 650mah battery. the new vaporesso Zero pod kit with new innovative filling system: PRESS TO FILL which allows vapers easy filling and improved leak prevention, vapers only insert the nozzle using a little pressure opens the seal then it will close as soon as its taken out, by having this robust locking system,a tight seal is created preventing any leakage and also makes its completely childproof, the unique ccell coils are optimized for high nicotine level e juice. the zero vape kit with most advanced OMNI BOARD MINI chipset to ensure excellent performance and product safety, multiple functions to ensure vape reliable. the auto temperature control design will auto-detect the e juice and control the working temperature is a smart way for the best flavorful delivery and avoid the dry hit. the quick charging function will allow the vaporesso zero 650mah battery fully charged in 45mins, more convenient to use. the bottom with one button design, you can use it to power on/power off the device and choose your desired vaping mode with a few clicks. the new vaporesso pod kit comes with 10ml e juice bottle, can use it to fill the zero with your favorite e juice.